What do you do if you have just a little left over brown rice? 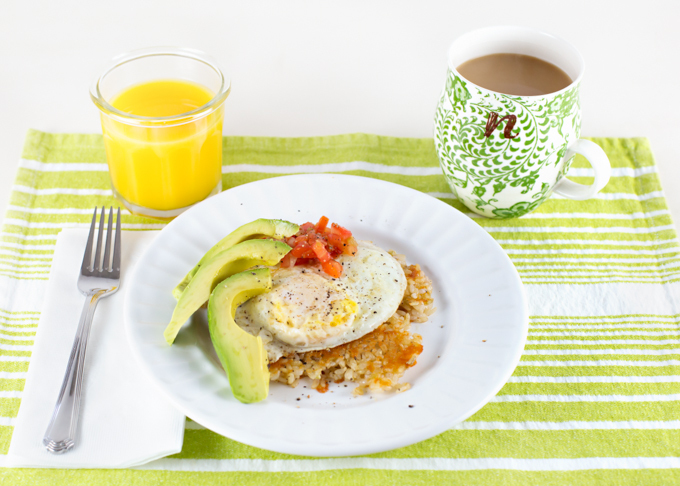 I often reheat it and top it with a little cheese and salsa for a quick warm lunch, but the other morning I used it for breakfast. Egg & Rice. I’m here to say, it was actually quite good. 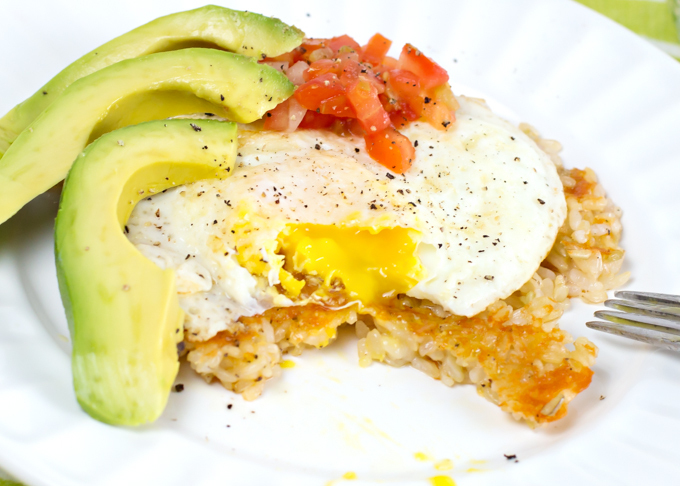 I added a little grated cheese to the leftover rice and gave it a quick pan fry, then simply topped it with a fried egg (that I cooked about 30 seconds too long), salsa, and fresh avocado. 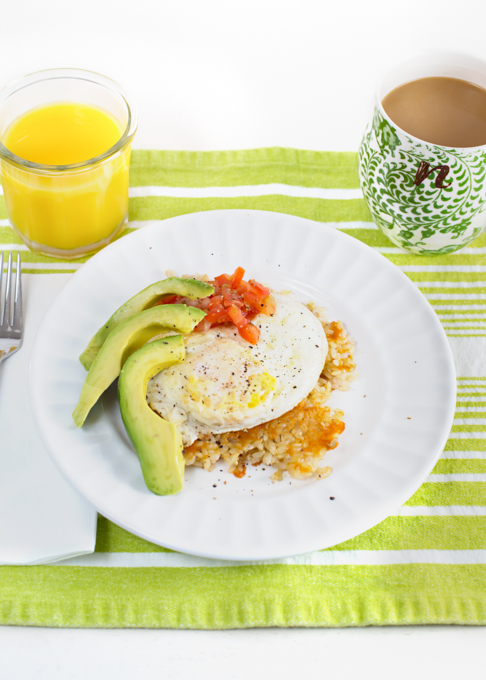 It was a quick, healthy, and satisfying breakfast. Being a food blogger and scrambling through the kitchen grabbing camera, dishes, and props, does have it’s downside. I would have loved this egg to be a bit runnier. Add the grated cheese to the leftover rice and quickly pan fry. Cook your egg (I like mine over easy with a runny yolk). 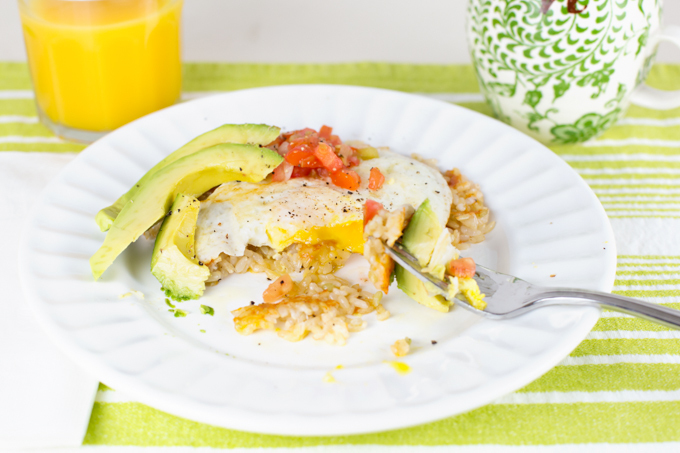 Top rice with egg, salsa, fresh avocado, and salt & pepper.